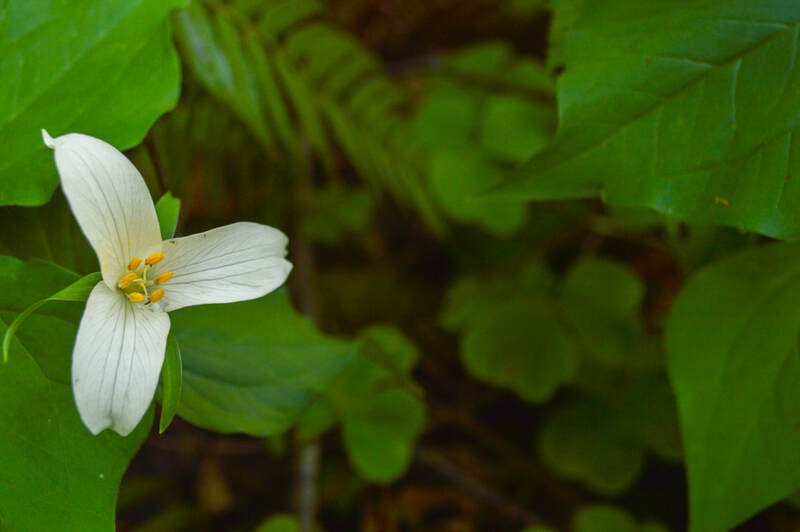 (For information about nearby campgrounds and other hikes close by please reference the Hike Oregon guide book '52 Hikes for 52 Weeks', or you can purchase the printer friendly version of this hike here). 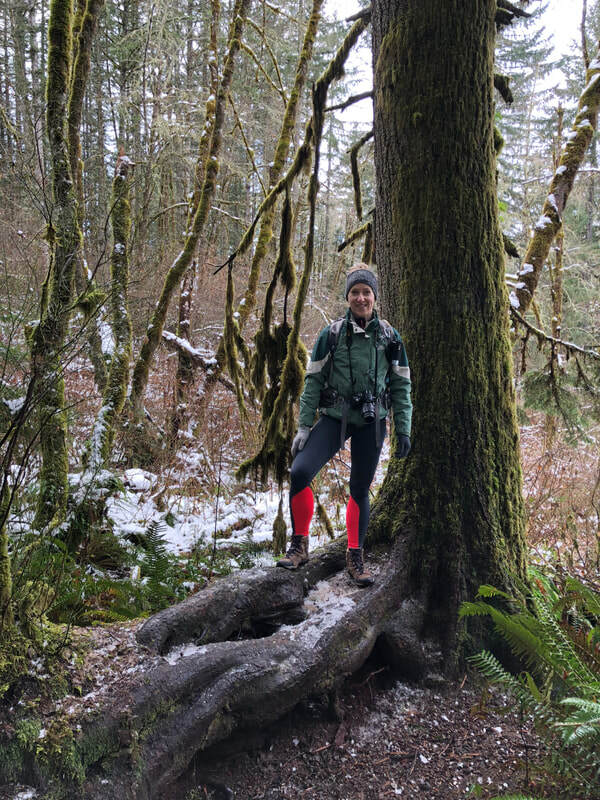 McDowell Creek County Park is a low elevation loop hike, perfect for a quick outing for any season. The main parking area has room for about 15 cars. 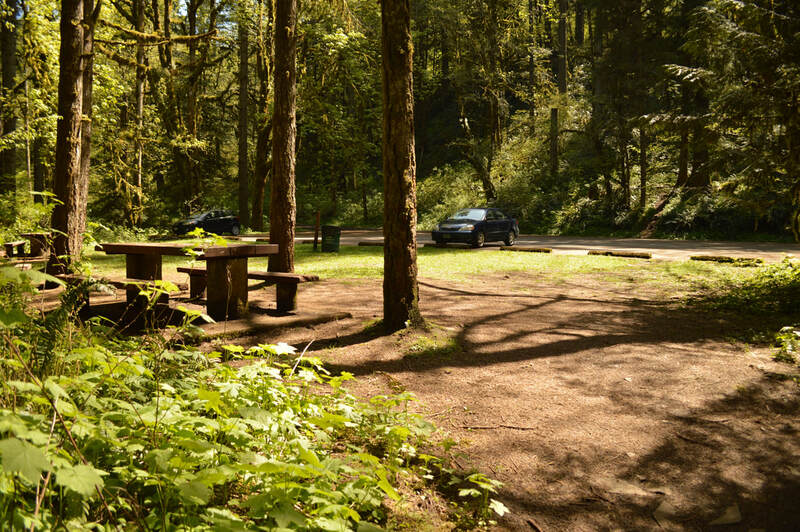 If this parking lot is full, there is another smaller parking area about a mile up the road, as well as a larger parking lot up by Majestic Falls. Near the parking area there are also a few picnic tables where you could have a picnic right next to the beautiful creek. 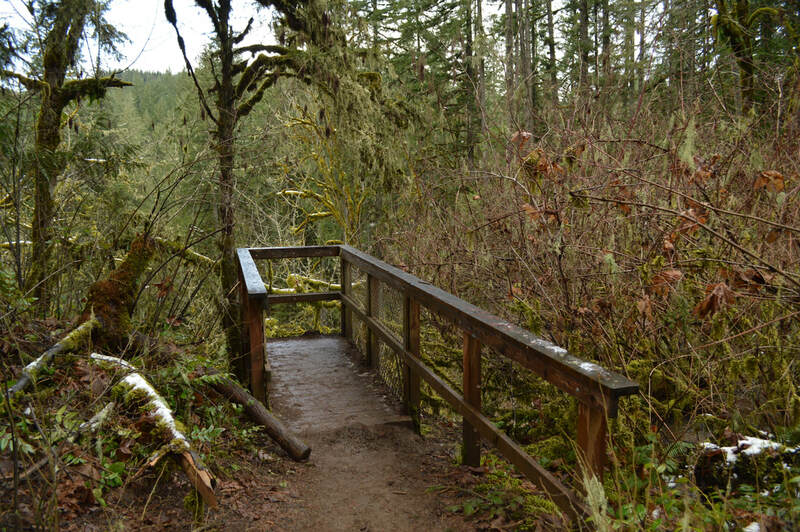 From the parking lot you will cross a bridge and the trail starts out alongside McDowell Creek through a lush forest of mossy big leaf maple, alder and Douglas fir trees. 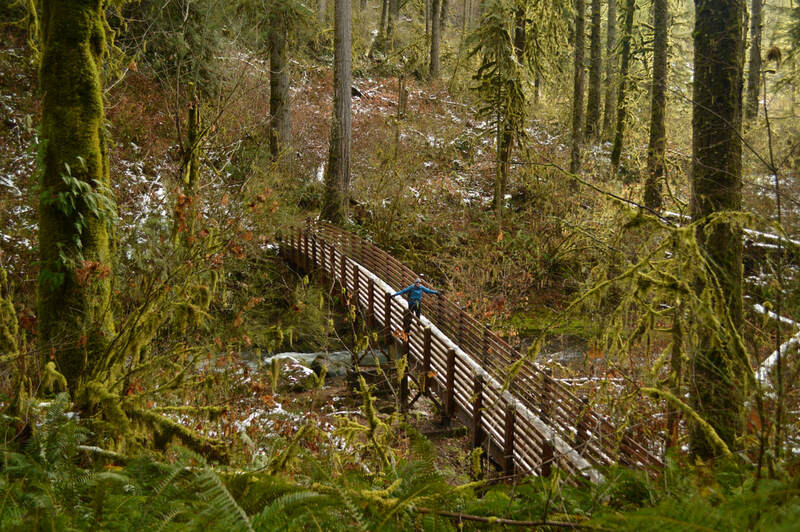 A quarter of a mile in, you will come to your first trail split. 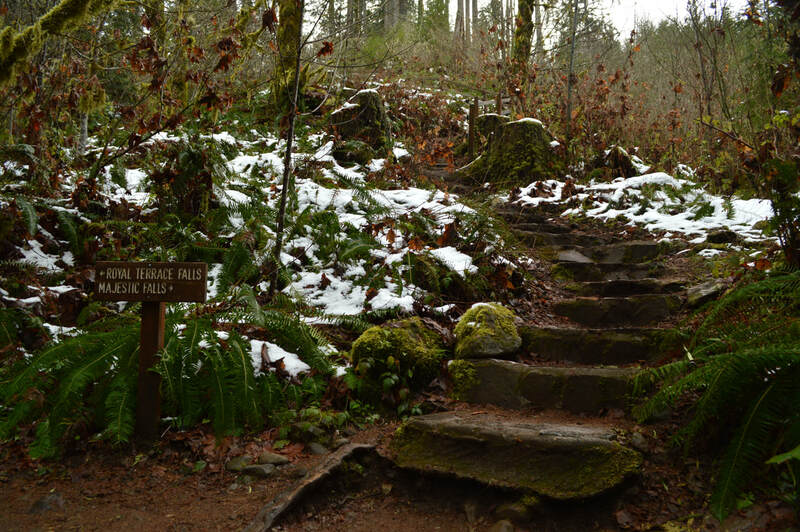 The trail to the left will take you to Royal Terrace Falls, however you will stay on the trail that continues straight up the hill. 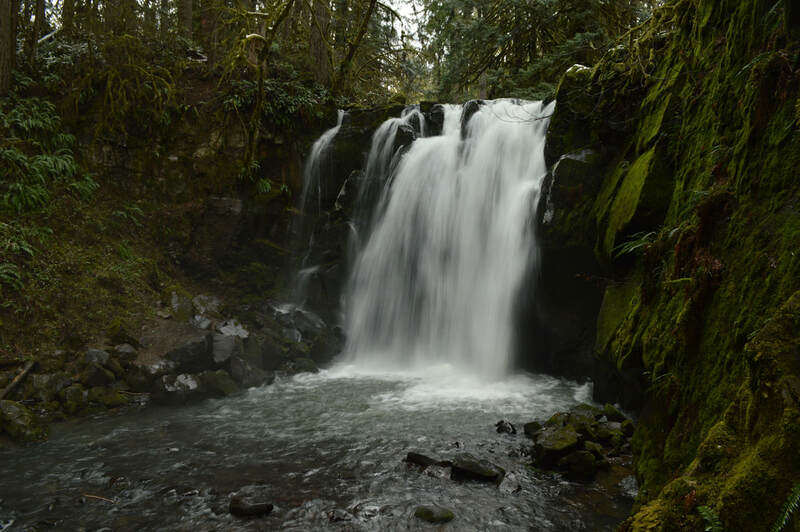 Ending the hike with Royal Terrace Falls as the crowning jewel is the best way to hike this loop. Head up the hill taking the many flights of steep stairs built out of stone. 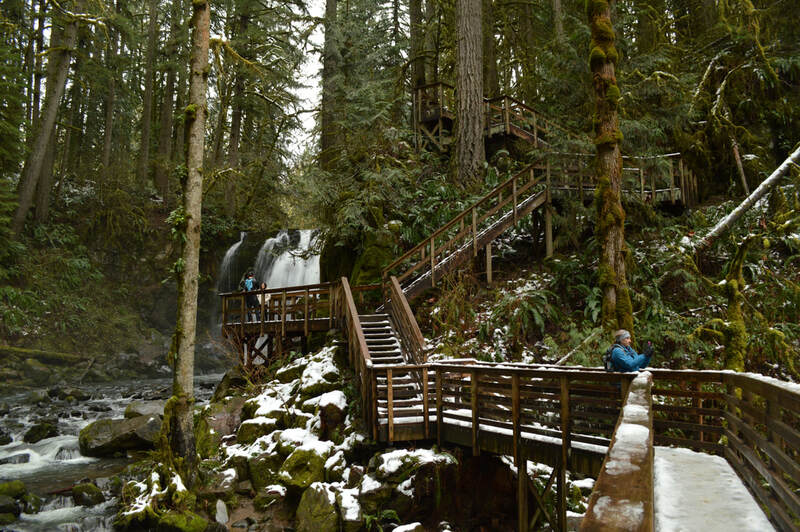 After you get to the top, you will see a small wooden balcony type platform where you can view Royal Terrace Falls from above. 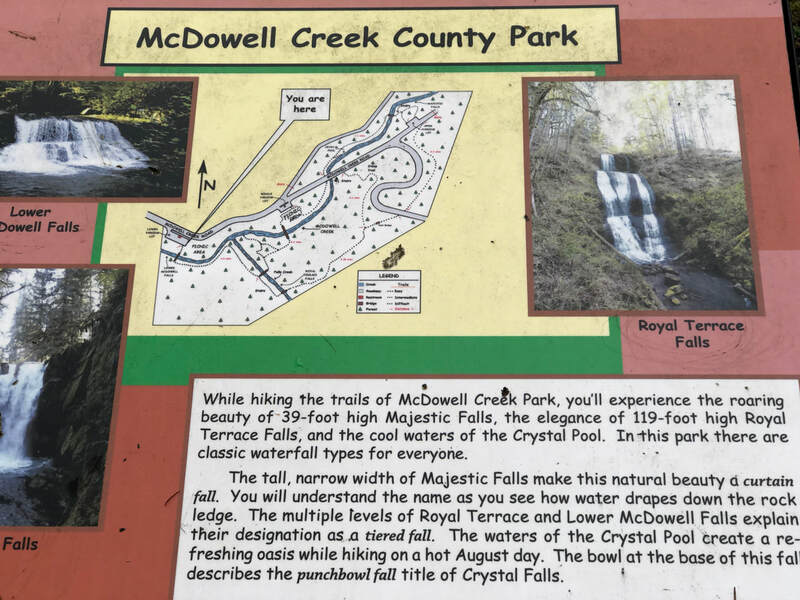 From here you will once again cross McDowell Creek and in less than .5 miles you will come to the next trail split. 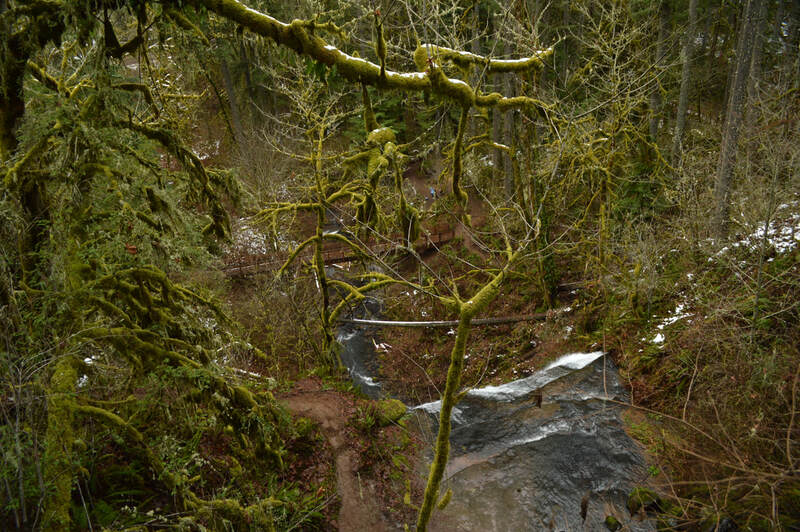 The trail to the left will take you back to Royal Terrace Falls and will cut the loop short by about a mile. The trail to the right will point you to Majestic Falls. 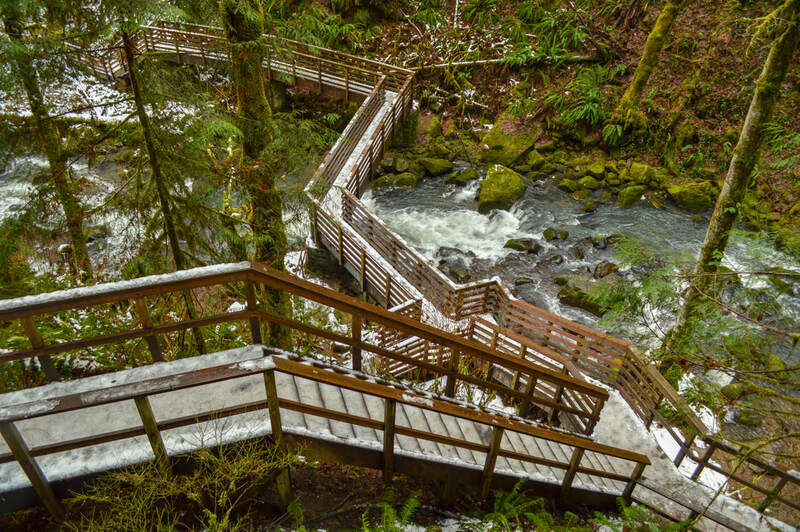 The trail to Majestic Falls is very quiet and takes you away from the creek for a little while. You will have to cross two roads and then you will arrive at the Majestic Falls parking area. There are some picnic tables where you can enjoy a quick break. 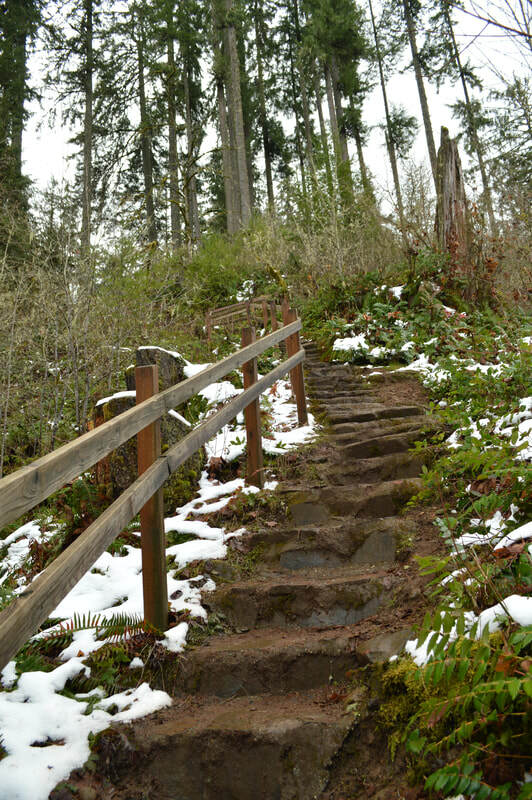 From here there are a few more wooden stairs to go down before hitting the trail again. If the weather has been frosty, please be careful as the stairs and platforms can become icy and slippery. During your walk back, make sure to keep your eyes open for a beautiful pool in the river called Crystal Pool. After hiking .3 miles you will come back to the road, cross here and walk .3 more miles until you come to a beautiful bridge at Royal Terrace Falls. 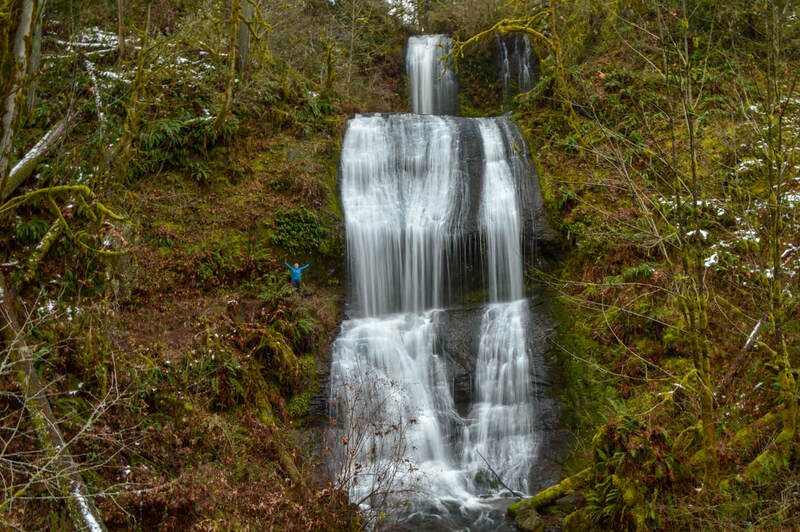 This waterfall stands at a total of 119 feet and elegantly cascades down three separate terraces. From here you will cross the bridge and continue .2 miles back to the main parking area. 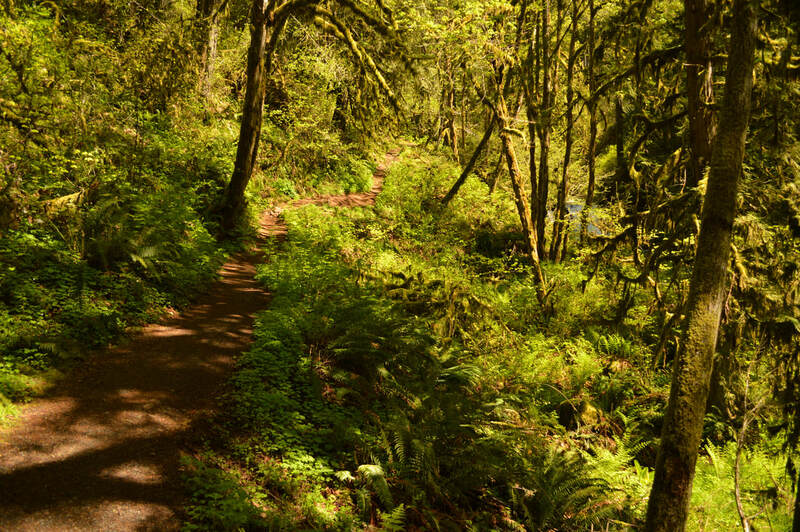 Overall, this hike is easy and perfect for a weekend outing for the whole family. 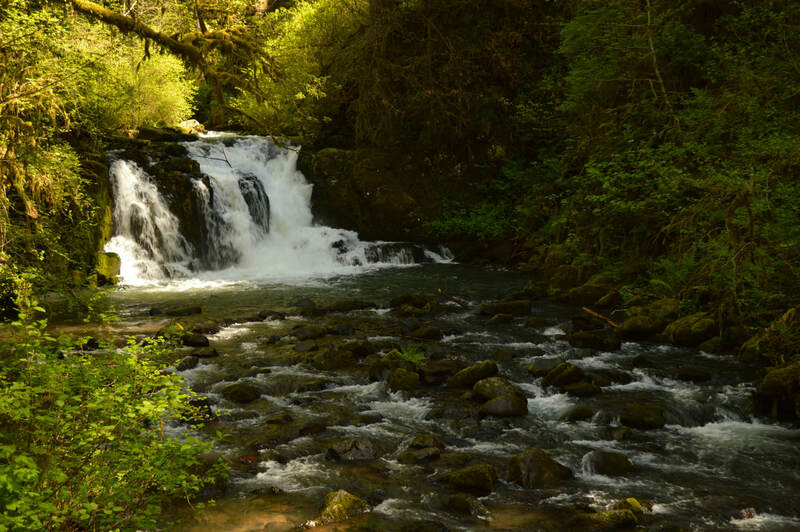 Coming here in the spring will offer raging waterfalls and fresh green buds on the trees. 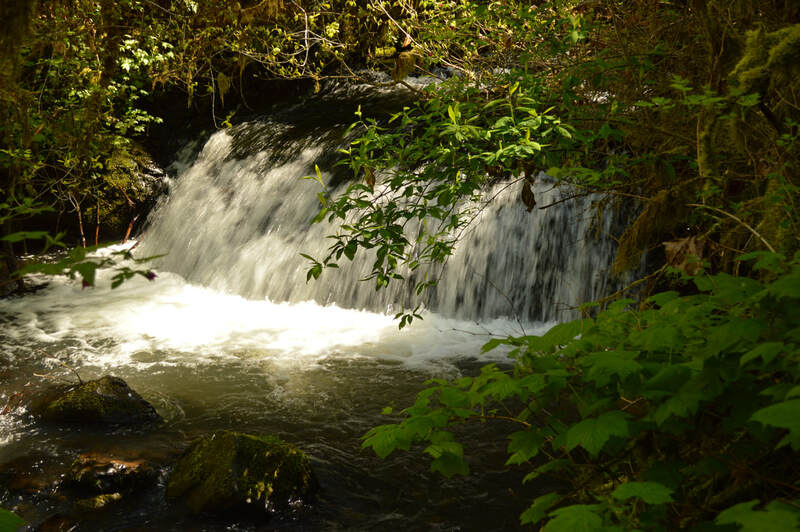 The summertime will offer warmer temperatures and kids can splash in the creek. 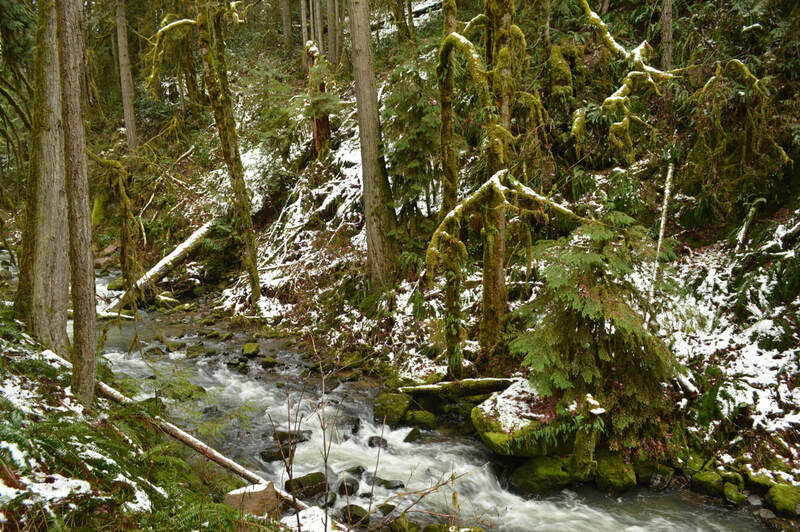 During the fall you will see the big leaf maple trees change colors, and during the winter, you might even see a dusting of snow. (Best time to go is in the spring when the waterfalls are raging, and in the fall when the leaves are changing color). Directions: From Eugene drive north on I-5 and take the exit to Hwy. 20 east towards Lebanon. 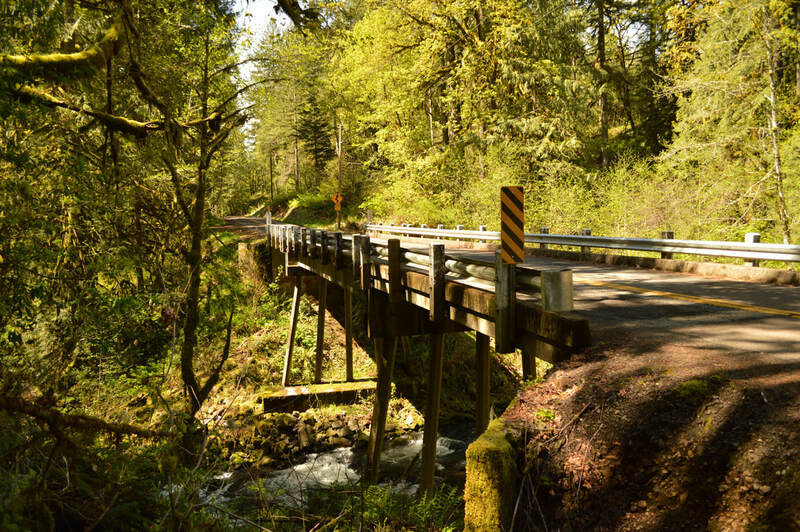 Once you have driven through the town of Lebanon continue 4 miles and then turn left at the McDowell Creek Park exit. Follow this road for 10 miles then turn right into the parking lot.